You can only try to imagine what it must have been like on 25 April, 1915 – then ask yourself: What madness makes people think the world’s problems will be solved by resorting to violence? Anzac Day and the Armenian ‘Genocide’ – What’s the connection? 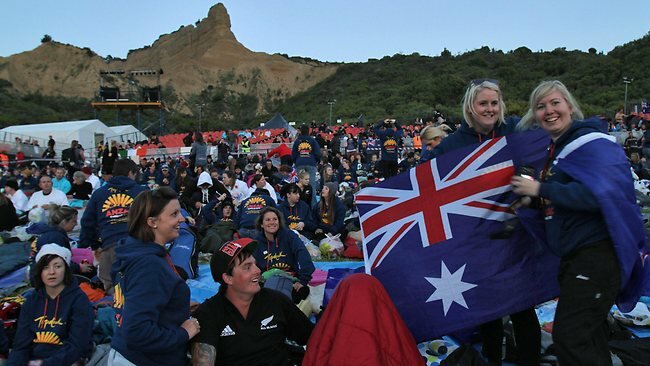 Tomorrow, or today, depending on your time zone, thousands of New Zealanders and Australians will gather for a dawn service on the beach of Anzac Cove beside the Dardanelle Strait in the Republic of Turkey. 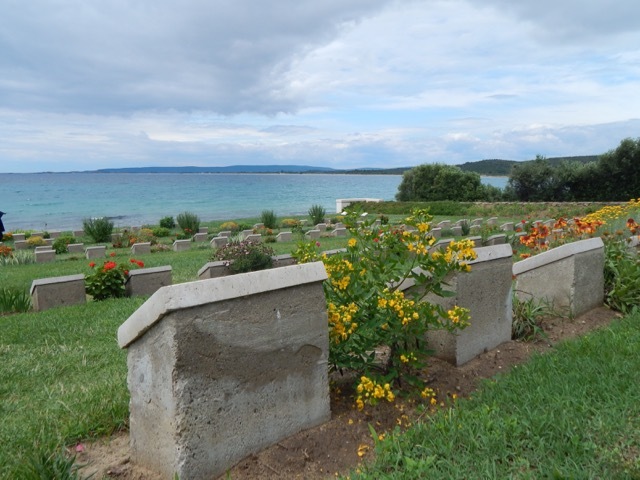 Most of them will then participate in organised tours around the battlefields and cemeteries of what we like to call the Gallipoli Peninsula. I’ve been there several times myself. It’s a moving experience, reminding us antipodeans of our shared heritage, and providing us with a date on we can celebrate the emergence of a national consciousness. Although I live in Turkey, I haven’t actually attended one of those 25 April commemorative services. My first visit was with a party of Turkish high school students and teachers, there for their own day of remembrance on 18 March. My most recent was with a couple of visitors from New Zealand on a quiet day in May. I have, I guess, an unusual perspective on the Gallipoli Campaign of 1915. I grew up imbued with all the legend and mythology associated with its memory in New Zealand. My years in Turkey have shown me another side to the story. Interestingly, both countries trace aspects of their origins to that tragic, bloody and ultimately futile conflict. 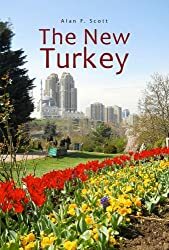 One factor, however, that has kept me from joining my fellow New Zealanders on their annual pilgrimages, is a feeling that we are not quite as appreciative as we might be of the hospitality the people of Turkey show in welcoming their former invaders, and allowing us to celebrate our national identity on their soil. What were our boys doing there, after all, 17,000 kilometres from home, invading the land of a people they barely knew existed, who certainly had not done them any harm? However brave our lads were, and that is beyond debate, they were in the wrong – or at least their military and political leaders who sent them were. I sometimes half seriously ask my Turkish students who they consider their country’s ‘Number Two Man’, after Mustafa Kemal Atatürk. They show considerable surprise, even anger, when I offer my nomination of Winston Churchill for the title. Certainly Mustafa Kemal was the victor of Gallipoli/Çanakkale, and the founder of the Republic. However, my contention is that, without the outrageous provocation of the British Empire, and Churchill in particular, the spark that ignited the struggle for liberation and independence might never have been struck. His was the grand plan to force the Dardanelles and the surrender of the Ottoman government, and to assist Imperial Russia in attacking Germany from the east, thereby relieving pressure on the Western front. Undeterred by failure, the British encouraged the Greek army to invade Anatolia in 1919 as part of their plan to divide and destroy the Ottoman Empire once and for all. When the Greeks too were driven out, Churchill’s final affront was an ultimatum calling on Turkish nationalists to refrain from attempting to liberate Istanbul from occupation. His bluff was called, and the modern Republic of Turkey came into being on 23 October 1923. We shouldn’t forget, when we visit Turkey, that we are there as guests of a sovereign nation. The British Government back then underestimated Ottoman resistance, duped by their own rhetoric about ‘The Sick Man of Europe’. Our grandfathers paid a high price for that. Short-term visitors to Turkey cannot be expected to learn the local language – but we might make some effort to learn a little history and geography. ‘Gallipoli’ is in fact a town in Southern Italy. The Turkish name for the peninsula is Gelibolu, a corruption of the ancient Greek town called Kallipolis. Turks refer to the campaign as Çanakkale (Chunnuck-kaleh) a name they also apply to the strait we choose to call the Dardanelles. This latter word derives from another ancient Greek town named for the mythical son of Zeus and Electra. Who cares, you may ask? But I’m arguing that we, New Zealanders of all people, should care. For some years we have been starting to realise that many of our own place names arrogantly replaced meaningful words assigned by the indigenous Maori people – Aotearoa, Taranaki/Mt Egmont, Aoraki/ Mt Cook, and so on. The Republic of Turkey will celebrate its 93rd birthday this year. Perhaps its time we consigned that Greek mythology to its rightful place on library shelves. “Byron was both celebrated and castigated in life for his aristocratic excesses, including huge debts, numerous love affairs – with men as well as women, as well as rumours of a scandalous liaison with his half-sister – and self-imposed exile. He was living in Genoa when, in 1823, while growing bored with his life there, he accepted overtures for his support from representatives of the movement for Greek independence from the Ottoman Empire. Byron spent £4,000 of his own money to refit the Greek fleet. Thwarted by Byron’s untimely death, the British government arranged for the installation of a German prince from the Bavarian Wittelsbach family as King Otto I of their new puppet state. Well, I’m not here to talk about Lord Byron and the past sins of Imperial Britain – rather to warn that we need to exercise caution in deciding what to believe, especially when that belief may lead to actions with unintended and undesirable consequences. The 16th century French essayist, Michel de Montaigne, observed that ‘Nothing is so firmly believed as what we least know’, and the passage of time has not detracted from the truth of his words. Western news media are presently full of articles and opinion pieces referring to the so-called ‘Armenian genocide’. The reason is that the global community of Armenians chose 24 April as the day to commemorate another tragic event of 1915. The issue, as I’m sure you are well aware, is whether the expulsion and deaths of hundreds of thousands of Armenians in the Ottoman Empire at that time should be labelled a ‘genocide’ – and whether the modern Republic of Turkey should accept responsibility. The Catholic Pope has apparently come out in support of the Armenian claim, and I read of a church service being conducted by a Catholic cardinal in a cathedral in Boston. 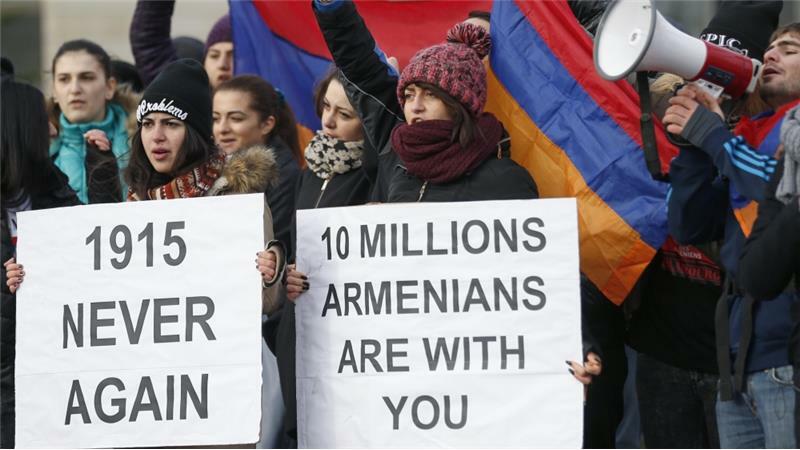 George Clooney, better known as a Hollywood actor, has also announced his support for the Armenian cause. President Obama, meanwhile, has angered Armenians by soft-pedalling on the issue, despite earlier promises on the campaign trail. Well, I’m not going to engage in diversionary arguments about whether the Catholic Church has any right to take anyone else to task for human rights abuses. Nor attack Mr Clooney and his wife for their ‘obscene’ financial support of Hillary Clinton’s presidential campaign. I would, however, like to express my sadness and disappointment over an article published in the New Zealand Herald today. Admittedly it’s an opinion piece, and possibly doesn’t reflect the position of the owners and publishers of the paper. However, it’s a sensitive issue, and they should give some thought to the warning of M. Montaigne. 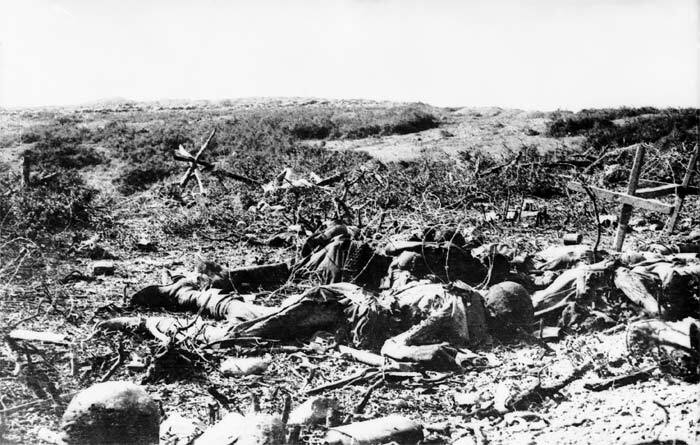 The writer, James Robins, has chosen to make a connection between the Anzac involvement in the Gallipoli Campaign, and the current campaign to have the Armenian tragedy recognised as a genocide. He claims that New Zealand soldiers actually witnessed events proving that a genocide, ‘the systematic and near-complete destruction of a people’ took place. Robins asserts that ‘For centuries the Armenians had been second-class citizens in the Ottoman Empire.’ In fact, Armenians, along with Orthodox Christians and Jews had been given the right to build schools and churches, speak their languages, practice their religion, bury their dead, hold high positions, and live rich and comfortable lives in the Ottoman Empire. The article contains a picture of a desecrated and destroyed Armenian cemetery. I can take Mr Robins to many Armenian churches and cemeteries occupying fabulously valuable real estate in modern Istanbul. If he has any Greek friends, he could ask them to show him mosques or synagogues in Athens or Salonika, cities that once had large Muslim and Jewish populations. And good luck with the search. Robins quotes the ‘historian’ Taner Akçam – much of whose ‘research’ has in fact been called into question. A Turkish historian, Haluk Şahin, has just published a book, ‘Anatomy of a Forgotten Assassination Plot’. Şahin refers to the murder of two Turkish diplomats in Santa Barbara, California, on 27 January 1973 by an American citizen of Armenian descent – the first killing in an orchestrated programme that caused the deaths of 90 Turkish diplomatic staff and members of their immediate families. Just remember who looks after those Gallipoli cemeteries from one Anzac Day to the next; whose government gives New Zealanders free visas to enter their country, and whose people welcome us like family when we’re there. Are you really so sure of your facts that you want to jeopardise those privileges? Veli Ayhan doesn’t know where Australia is and he’s never heard of a kangaroo, yet for almost 30 years he tended to some of the country’s most sacred sites. Read more. 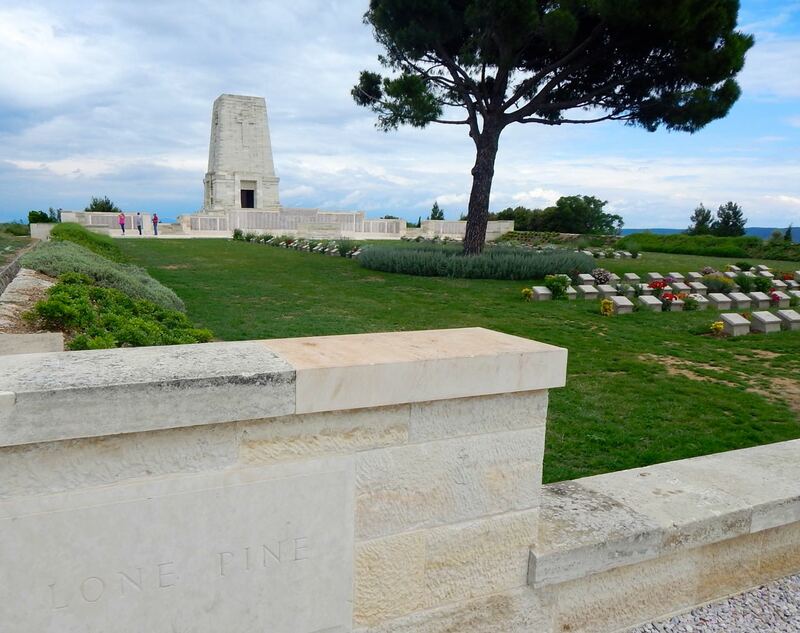 Thousands of New Zealanders and Australians are getting ready for another pilgrimage to the battlefields and cemeteries of Gallipoli. This year, 2015, interest has been especially high since it marks the 100th anniversary of that long ago exercise in military futility. As usual, however, Turks will have finished commemorating their victory by the time our contemporary pilgrims arrive on the beaches where their ancestors struggled ashore on 25 April 1915. 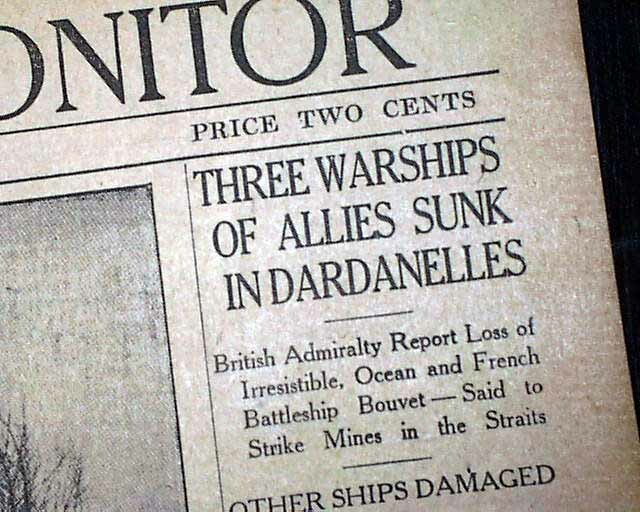 For the people of Turkey, 18 March is the day they remember their grandfathers’ turning back the combined might of the French and British navies. In those early days of aviation, warships were the pre-eminent military force – and Great Britain had the world’s mightiest. The attack was the brainchild of Winston Churchill, at that time First Lord of King George’s Admiralty, and commanded by Admiral Sir Sackville Hamilton Carden. The plan was for the navies to force a passage through the Dardanelles to the Ottoman capital of Istanbul/Constantinople obliging the sultan’s government to surrender. Military supplies could then be brought to the wavering Russians, strengthening the hand of the Czar so that Germany would have to divide its armies, thereby relieving the stalemate on the Western Front. 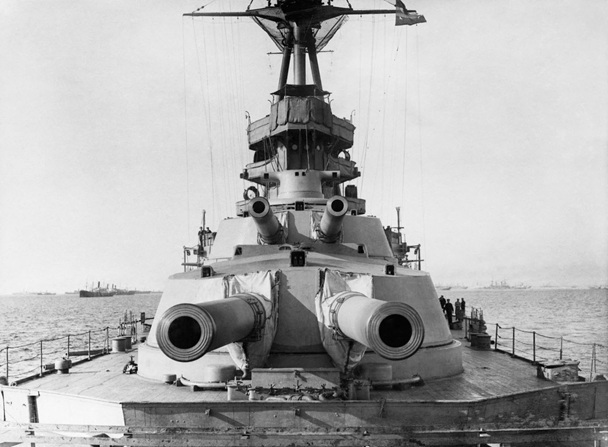 To achieve this aim, Britain and France assembled one of the most powerful aggregations of naval firepower ever seen: the latest dreadnought battleship Queen Elizabeth; the battle cruiser Inflexible, twelve pre-dreadnought battleships; four light cruisers; fifteen destroyers; eight submarines; and thirty-five fishing trawlers converted into minesweepers. There were also two battalions of Royal Marines to serve as a temporary landing force if needed. Unfortunately for the Brits and the French, it wasn’t enough. Possibly Western powers had swallowed their own rhetoric about the ‘Sick Man of Europe’ and convinced themselves that the decrepit Ottoman Empire would fold at the mere sight of the Union Jack and the French Tricolore. They didn’t. Minesweepers sent to clear the channel came under heavy fire from shore batteries (as one might have expected) and had to retreat. The British battleship Amethyst was badly damaged. Admiral Carden reported sick and had to be replaced by his 2nd-in-command. The French battleship Gaulois was hit and beached, and another, Bouvet, struck a mine and sank in 60 seconds with most of its crew. Three British battleships, Irresistible, Inflexible and Ocean were also lost . . . and the sea operation was called off. That was 18 March. For the Ottomans, the greatest threat had been repulsed. What followed, the beach landings and eight months of pointless slaughter in atrocious conditions, never looked like posing the same danger. The Gallipoli campaign was an embarrassing military disaster for Britain and its allies – and a tragedy for New Zealand and Australia, whose politicians sent thousands of young men to die or be maimed in a land few could have located on a map. By July 1915 males up to the age of 45, and over 157 cm in height were being dispatched to the warzones. Almost immediately, however, the myth-making began. Anzac ingenuity had enabled a withdrawal from Gallipoli under the very noses of Ottoman gunners, turning an abject military defeat into some kind of intellectual victory – ignoring the possibility that the defending forces may have been happy to see the invaders up sticks and leave. The ‘Anzac spirit’ came to represent an idealised rugged courage, disdain for mindless discipline, mateship, good humour and sense of fair play exhibited by the antipodean fighting man. The myth survived through to the 1960s when participation in the United States’ ill-fated Vietnam War supported by Returned Servicemen’s Associations led many to question traditional enthusiasm for following blindly in the footsteps of Mother England or Uncle Sam. The recent resurgence in popularity of Anzac Day and, in particular, youthful pilgrimages to Turkey on 25 April, while preserving some vestiges of earlier myths, probably owes more to an emerging national consciousness among younger generations of Australians and New Zealanders. Because of our constitutional ties to the British Crown we lack a day for celebrating our uniqueness and independence like the Americans’ 4th of July, the French Bastille Day, or the Turkish Republic Holiday. Waitangi Day and Australia Day have been unable to escape the taint of colonial dispossession of indigenous peoples – and the April date has gone some way towards satisfying a need. It’s sad, however, to see news media invoking the myth of Anzac in support of the decision by New Zealand and Australian governments to join US military action against ISIS in Syria and Iraq. ‘Anzac spirit lives on as nations eye joint role in Iraq against ISIS’, trumpeted The Australian. The Australian edition of the International Business Times announced: ‘Australia and New Zealand troops could team up once again to fight the militants of the Islamic State of Iraq and Syria after 100 years since the ANZAC alliance was forged in World War I.’ As far as I know, to their credit, Prime Ministers Abbott and Key have refrained from making such comparisons. 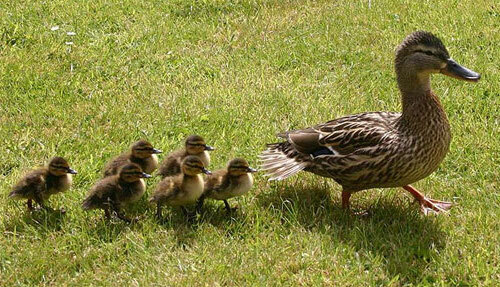 Nevertheless, they have shown themselves only too willing to continue their countries’ tradition of following like ducklings after Jemima Puddleduck. The new role of Anzac Day for younger generations as a focal point for national consciousness and pride has something to commend it if it allows for the inclusion of indigenous peoples – and if scheming politicians can be restrained from exploiting it for their own questionable purposes. A century ago jingoistic political propaganda played a major role in persuading young men to travel half way around the world and die on the beaches and hillsides of the Gallipoli Peninsula. 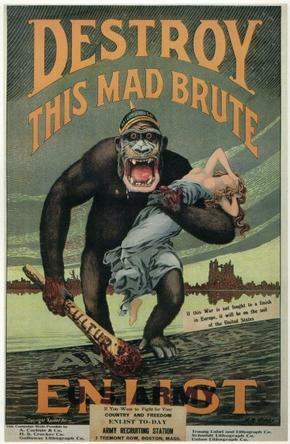 Posters urged them to enlist and ‘Destroy this Mad Brute’ (Germany). Notice any similarity to Tony Abbott’s calling ISIS a ‘death cult’ that ‘poses a threat to the whole world including Australia’? In fact, the part played by the Çanakkale War (as Turks call the Gallipoli Campaign) in the establishment of modern Turkey is arguably more founded in truth. The personal qualities of Colonel Mustafa Kemal (later Atatürk) undoubtedly contributed to the Ottoman victory, which then gave him the credibility needed to gather his people for a war of liberation and be chosen as the new nation’s first president. Possibly the dear old general was not aware that, according to the official New Zealand History website, ‘2600 conscientious objectors lost their civil rights, including being denied voting rights for 10 years and being barred from working for government or local bodies. Many received military punishments . . . were beaten and abused for their stance. Sad to say, in spite of heroic charges inspired by love of freedom and the old country, the invaders were unable to progress more than a few kilometres from the beaches, and General Hamilton was recalled to London on 16 October 1915, his military career at an end. The campaign stuttered along for another two months with little to show but 245,000 wounded and missing, and 59,000 confirmed killed. The defending Ottoman forces suffered similar losses. Another high-level casualty in the region was Winston Churchill himself. Having failed to take a lesson from the Gallipoli fiasco, Winston and British Prime Minister Lloyd George attempted, in September 1922, to turn back the Turkish nationalist army, fresh from victory over the invading Greeks and now intent on liberating Istanbul/Constantinople. Outmanoeuvred politically this time by Mustafa Kemal, Churchill and Lloyd George failed to get support from their own parliament and imperial dominions. Obliged to back down in a major humiliation for Great Britain known as the Chanak Crisis, their government fell and Lloyd George’s political career was over. Possibly Prime Ministers Key and Abbott are lost in a time warp and actually still believe that kind of nonsense. In 1988, New Zealand author Maurice Shadbolt published a book, ‘Voices of Gallipoli’. It was based on interviews he had recorded with Gallipoli veterans in old folks homes around the country. 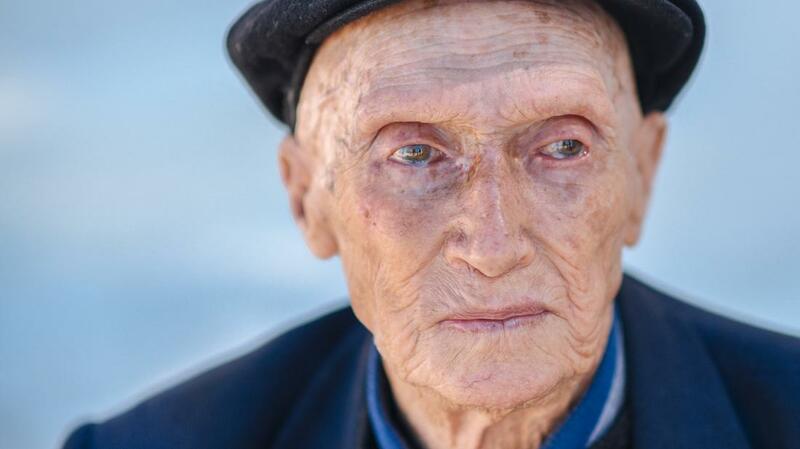 An 18 year-old in 1915 was well into his 80s by that time – but most of them had never spoken about their experiences to anyone in the intervening years. No one else wanted to know what it had really been like if it didn’t conform to the war according to Kia Ora Coo-ee. On Shadbolt’s recordings octogenarians could be heard breaking down in tears as they recounted their horrific experiences on those beaches, gullies and ridges – the hopeless bayonet charges into the mouths of machine guns firing 600 rounds per minute; the nightmarish injuries; the pathetic cries of mates dying in agony in no-man’s land; the realisation that they had more in common with the young guys in the enemy trenches than with the generals and politicians who were ordering them to charge and die. What’s changed in a hundred years? In 1970 the Motown record label released one of the most successful anti-war songs of all time: Edwin Starr singing War? What is it good for? His conclusion was ‘Absolutely nothing’ – but that answer is, of course, extremely naïve. If it were true, there would be no more wars. The fact is, war is very good for some, namely those involved in the military-industrial complex and the transnational finance system that supports and is supported by it. I came across this article on yahoo.com, and I’d like to share it with you. The writer, Merve Sebnem Oruç is a managing editor in online journalism and a commentator in Turkey. “Gallipoli is a good place to start for resolving the historic dispute between Turkey and Armenians. “The Battle of Gallipoli was one of the most critical scenes in Turkey’s history. Britain and France opened an overseas front in Gallipoli in East Thrace and tried to overcome the Ottomans. The Russian Empire was promised the capital Istanbul by the two of Entente Powers of World War I. It was a fight for the survival of a nation, a struggle for life or death. “The victory in Gallipoli didn’t help Turks win the war but it gave hope to resist and start the war of independence a couple of years later. The resistance is honoured every year on March 18 in Gallipoli and on the shores of the Dardanelles. 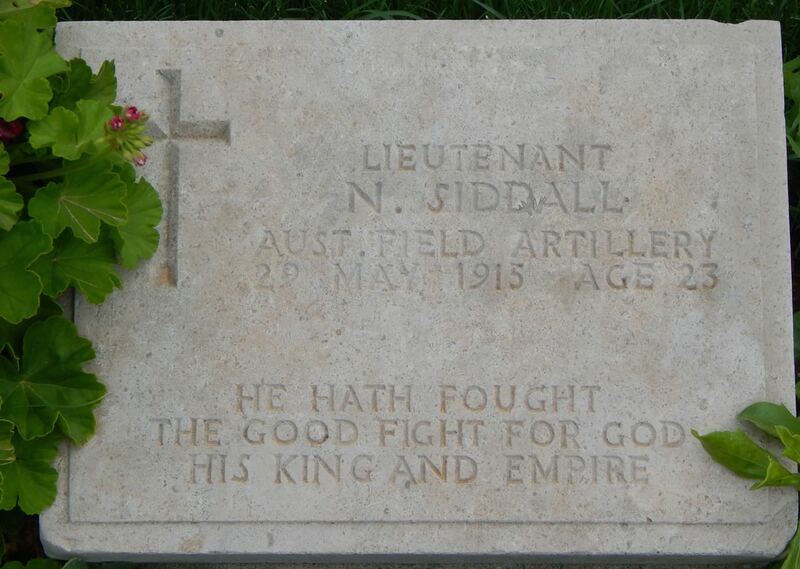 “Gallipoli is of significant importance to others like Australia and New Zealand. Each year, on April 25, they commemorate the Australian and New Zealand Army Corps (ANZAC) who died in Gallipoli. This is known as ANZAC day. “It was a battle away from home. It wasn’t even their war. They were dominions of the British Empire when the war broke out. Gallipoli is now a symbol of their national identity and existence. Their nations were born there. “This year is the 100th anniversary of the Battle of Gallipoli. 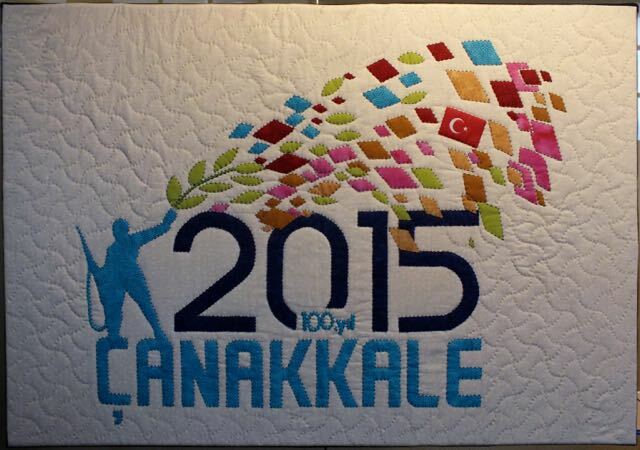 Turkish President Recep Tayyip Erdoğan has invited more than 100 world leaders, including Armenian President Serzh Sargsyan, to attend centennial commemoration ceremonies. The UK’s Prince Charles and the prime ministers of Australia and New Zealand are expected to take part in the ceremonies as well. “It is upsetting that Sargsyan has decided to reject the invitation, which would have helped lead us one step closer to understanding and reaching closure on the tragic events of 1915. The invitation, after all, was yet another historic move following Erdoğan’s statement. “Turkey will commemorate the centennial on April 24 instead of the regular memorial date, March 18, in a symbolic gesture of compassion. April 24 also marks the start of the deportation of Armenians by Turkish unionist authorities – it is the day Armenians around the world traditionally commemorate their ancestors who were killed in that campaign. “Ten years ago, merely talking about 1915 [in Turkey] was a feat of bravery, but now there is no taboo when discussing anything out loud. “Discussing and understanding history is more conducive to progress than being stuck at the same point for years, and Gallipoli is one of the most appropriate places to start.” Read the whole artice.